I tell stories. I would like to share them with you. There’s a complaint I keep noticing about some stories written by women about men who have romantic affairs with other men. It’s nearly, but not, symmetrical with the complaint women sometimes have about stories men write about lesbians. It’s this: the accusation that the characters are not men, that they are women in men’s disguise (or “chicks with dicks”). The nearly symmetrical but not really complaint is that men write lesbians who are not real women—they are fantasies. So, (some) men complain that (some of) the unrealistic characters they are reading about are the wrong gender, and (some) women complain that (some of ) the unrealistic characters they are reading about are not real. That’s a subtle difference, but I think it is significant, especially as I think that the thing they are reacting to in the writing is, in fact the same thing. “Chicks with dicks” is a hideous phrase, insulting to just about everyone: women, men, gay men, men whose mannerisms are more “feminine” than average. I’m not sure that “feminine” men should be called that, because the aspects of their behavior and character that mark them this way are not, generally, behaviors and personality characteristics that actually predominate in women either. I’m not sure that the label is completely wrong, though, as it sometimes seems to go with men who see themselves as rejecting aspects of masculinity they see as offensive. But I am interested in what drives the complaint behind it. First of all when a man complains about “chicks with dicks,” I don’t think he’s reacting to characters who have physically or socially feminine markers. I think the aspects of a male character that throw men out of identifying with them, and which they identify as female, are not usually really feminine, but just wrong, and the men are grasping for what is wrong about the characters. Gender comes to mind because gender is the salient issue at hand in these stories written by women and purporting to be located in exclusively male sexuality. It’s not that the men are wearing the wrong clothes or using the wrong kind of hairbrush or deodorant. If they had those details or something like them, you’d think it was deliberate eccentricities on the part of the character. It’s more likely to be something about the character’s emotional presence, their expressions of self, the intangibles that you can stay up all night arguing about. But what these male characters are doing on the page that is wrong wouldn’t be right if you tried to make a female character do them, either. But why do (some) male readers perceive this as feminized characters? I think, partly because they know that women wrote the stories, so the explanation “she doesn’t really know men because she’s a woman” is easy to come by. Of course it isn’t correct. But it’s an easy answer, so it almost has to be wrong. How do you describe a book? It’s vexacious to try to summarize a book, whether you’re putting together a query, or writing a blurb, or trying to get someone to review it. It makes me want to throw my hands in the air and just go back and write some more stories and forget the finished ones. This afternoon I submitted requests to a couple of online review sites that take them, though, and in the process I coined a nice fat name for the genre I declare I have created: The science fiction workplace buddy romance. I’m maybe a bit too smug about this. I immediately tweeted this, and then told my friends in chat, and now I’m telling everybody. I may email my son later so he can share in the deliciousness of that genere label. As I’ve already told everyone who will listen and quite a few people who probably would rather not, I am not ashamed of piling up four adjectival nouns in one descriptive phrase. It’s positively Anglo-Saxon poetry. Anyway, now I want to go through my “stories to write” file and see how many of them could be called that. Reminder: you can still sign up for a free copy of Outside right here. And now that I’ve done some obligatory promotion of that book, I have edits to work on in another science fiction buddy workplace romance-this one is about lesbian mechanics who discover how to get to a whole new world through carjacking-and a manuscript I need to write, about something completely different. I’m sure I will tell you all about them when the time comes. I have some stories already published and a couple coming out soon. First, here’s one you can easily find and read: a short story called “Wink,” in which a bit of a misunderstanding arises between people who can choose their gender at will, and sometimes don’t choose one at all. Second, on November 11, Less Than Three will publish an anthology edited by the marvellous Tan-ni Fan. 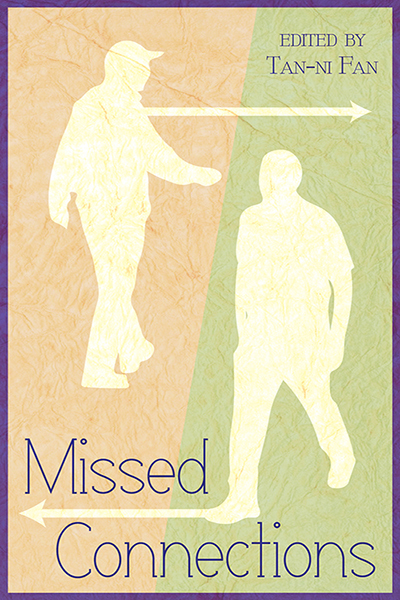 It’s called Missed Connections and it contains my (not science fiction or fantasy) story “Rab+Rob 4evar” about a young environmental stiudies graduate with a terrible memory. 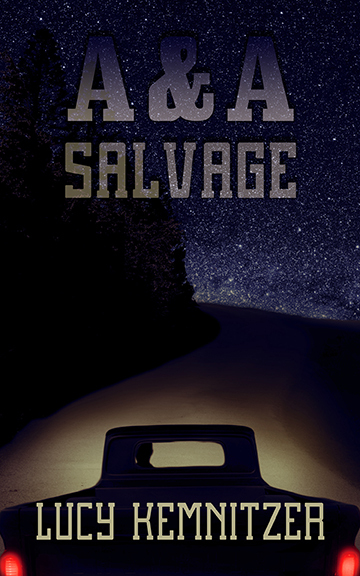 Somewhat later (I don’t have a date yet), Less Than Three will also be publishing A and A Salvage, in which a p air of lesbian mechanics discover a whole new world at war with itself, reachable from the backroads of the coastal mountains. “Thorri the Poet’s Saga,” with S.N. Dyer in which Njal of the sagas works out a solution to a murder mystery. John Brown’s Body (an alternate history) in which I see what might have happened if things had gone differently at Harpers Ferry. The Boulder in which an archaeologist witnesses the resolution to a family legend on an Icelandic farm. Some people already know me, under one of three names: my given name, which you see at the top of this page;”ritaxis” on livejournal and ina few other places; and “plumblossom,” which is the name I used for the writing I did just-for-fun for several years. I intend for this to be a more focused blog than my livejournal. Here I will just deal with writing and publishing and genre. I expect it to be, among other things, a handy space to keep readers posted about what I’ve got out and what I’ve got coming out, and of course whatever pops up that is somehow related to those things. For example, right this minute I have a nice little science fiction novella, which LessThan Three Press has made available in several ebook format s for $5.99. You can buy it here. Less Than Three is primarily a publisher of “anything but straight” romances. So, as you might guess, Outside is anything but a straight romance (pretty much however you take the phrase). Our fellows are geologists working in a larger complex of labs attached to an extra-solar space station. They are having an amusing little affair when Gamble is drafted against his will to head up a “field” expedition which is the great opportunity of Flint’s dreams. Because of their relationship, Gamble feels he can’t hire him, so he makes a nice recommendation for Flint when he leaves. When he comes back he finds Flint in a terrible bind, in a way that looks like Gamble is to blame. In the process of figuring out what went wrong and how to fix it Gamble starts questioning his whole approach to life. I ought to say, even though it ought to be obvious, that this is a workplace friendship-romance and definitely not “hard science fiction.” I don’t even know whether the people are traveling sub-lightspeed (but I think they are). If you are the kind of reader whose pleasure in reading science fiction is speculating about what specific machinery the space station uses to simulate gravity, and what sort of drive the spaceship uses to leave the solar system, you might be happiuer with a different book. What was fun about writing this was thinking about the many varieties of social organization that people might invent for themselves when they live in space for some generations. I’m thinking of stations that are the size of large cities, hundreds of thousands, maybe millions, of people (in this story I don’t get into it but I don’t think this space living is a response to the breakdown and impoverishment of Earth: I just can’t believe in a future where we can’t feed ourselves but we somehow have the resources to mail ourselves around the galaxy). Gamble was raised in one variation: he had three parents growing up, who were a team of professional parent specialists. A friend olf his is in another, as she belongs to a complex chain marriage. And then there’s the sation itself, which is downright baroque, and finally Gamble’s relationship with Flint. Like most of my work, Outside contains a sizeable cast of diverse characters with their own lives and motivaions. Just so you know, Less than Three is having a giveaway in celebration of the book coming out. But you only have till September 24th to sign up for your chance!